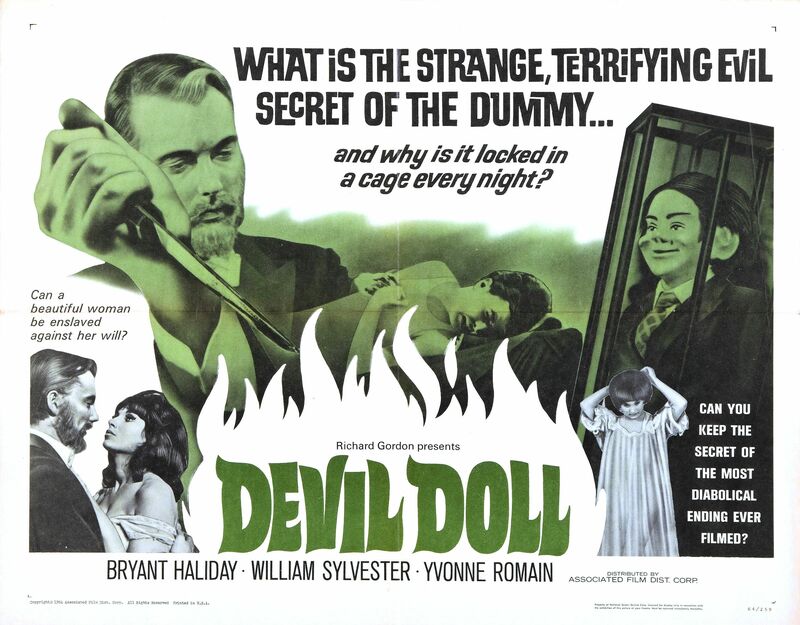 Before Chucky was ever a glint in Don Mancini’s eye, there was a little film called Devil Doll released in 1964. Said doll had a twist to it though and was really not a murderous serial killer, but like all dolls that tend to come alive, it did have murderous thoughts. This film has somewhat of a bad rating among viewers and critics, but it is not as terrible as they all make it out to be. Some of it is justified of course, but the good outweighs the bad, though not by very much. 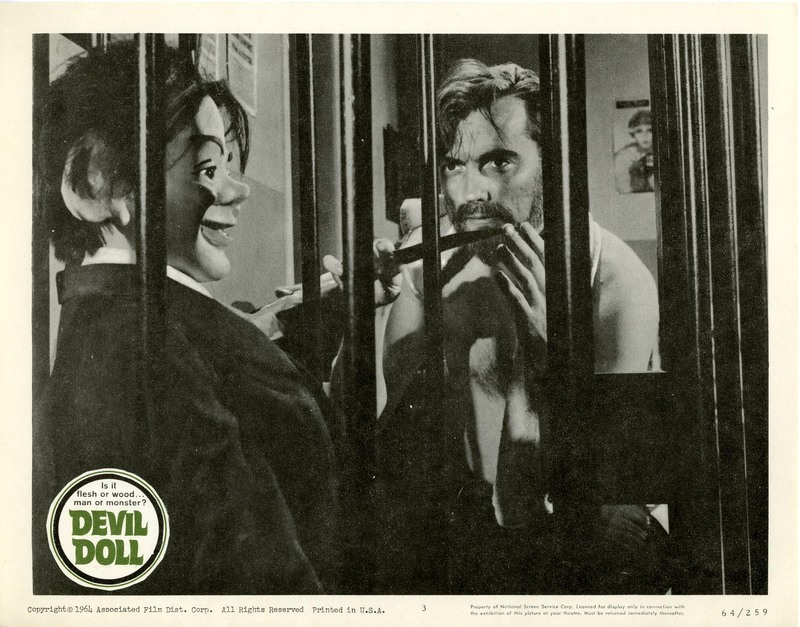 Like all things, it merely comes down to what the individual thinks but given a chance, Devil Doll might surprise you. 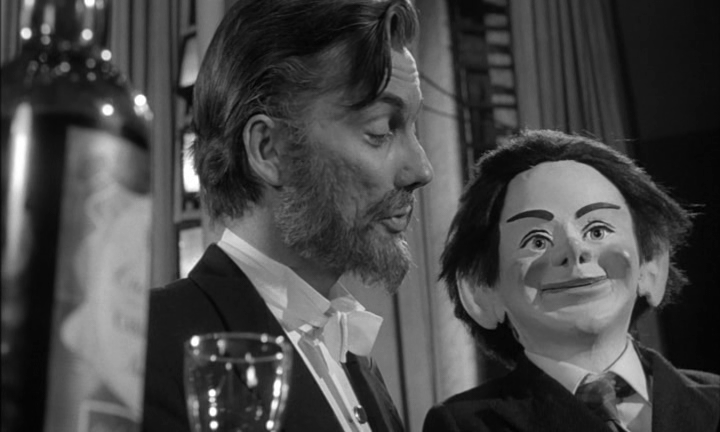 The film finds a hypnotist and puppeteer named The Great Vorelli putting on a show to a packed house when he decides to call for a volunteer. It is here that he meets Marianne and where he becomes smitten with her. So it is that he brings her under his control and convinces her through his mental prowess to keep coming back to him, much to the dismay of William Sylvester. William thinks that something is up, he knows it and as such starts to investigate Vorelli. He first checks out the doll which can somehow walk and talk all on its own, but he can find nothing wrong with it, at least to the naked eye. It is not until he delves into Vorelli’s past that he discovers things that make him believe there is some sort of magic or possession going on and his hurt feelings over Marianne turn into fear instead. The worst thing about this film is the acting by two of its leads, namely Bryant Haliday who plays Vorelli and tends to overact his part while Mark English who is the man intent on exposing Vorelli is the complete opposite and is very underwhelming. In fact, English is so laid back that you come to believe that all he wants to do is smoke cigarettes, never mind saving Marianne. It would have been better to have both men be a little more animated then downright lackadaisical as English was. By comparison, Yvonne Romain who would play Marianne was perfect in her role as the leading lady of the film. She was beautiful and attractive, essential qualities to appeal to Vorelli’s character, and she could actually act, which obviously is a bonus. Despite the weakness in the casting department, the film turned out to be a sharp little horror under Lindsay Shonteff’s hand. When it mattered most, he would zoom in nice and tight upon the doll’s face accentuating that unnatural fear that many hold for the devil’s play-things. The film would also jump back and forth between those scenes with Vorelli and the investigation being conducted by William and it worked effectively to build tension and suspense throughout the movie. In fact, where at first it seemed a little slow to start, the movie soon grabbed your attention fully as you kept wondering what was going to happen next. Would the doll escape his master’s grasp, would Marianne be doomed or would everyone just go about their business? You never quite knew where the picture was going and that was a good thing. 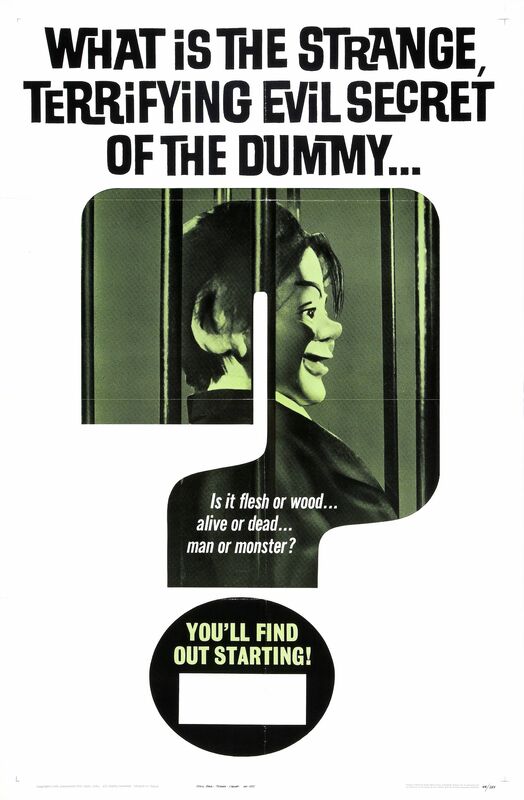 The special effects were not very good which was actually pretty smart as the shoddy looking puppet added to the horror of the film and is a case where being frugal with the budget actually paid off. The film is eerie to say the least and while it is a little corny at times, it manages to induce both chills and enjoyment.